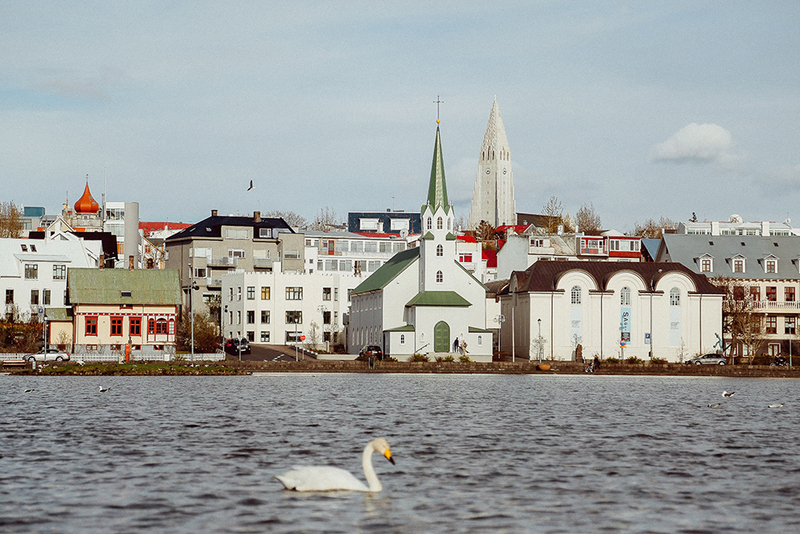 Reykjavik, Iceland is one of the latest and greatest bucket list destinations and is growing in popularity by the day. It’s no surprise — the vast and stunning views of Iceland are better than any Instagram photo, which means you have to go and explore for yourself. 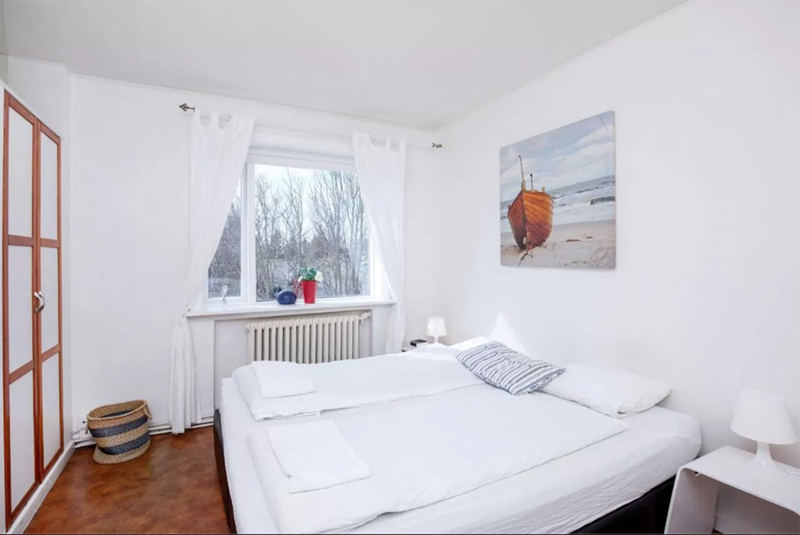 If you’re planning a trip to Iceland and trying to stay on budget while doing it, there are many hostels in Reykjavik, Iceland just waiting to host you! Have your camera equipment charged and ready to go and enjoy a lovely stay at one of these cozy Reykjavik hostels. Before we get started, make sure you check out my ample documentation about Iceland including my vegan guide. There’s so much to see and do in Iceland, but if you have limited time, I’d say aim to at least visit the Blue Lagoon and the Golden Circle. A Reykjavik hostel with a rooftop hot tub? Yes, please. The Circle Hostel in Reykjavik is centrally located in the Vesturbær district, a perfect starting point to explore the city. Extremely spacious, The Circle Hostel offers dorm-style and private rooms with views out into the sea. Closeby to many supermarkets, the hostel offers its guests a large kitchen for self-service cooking. Noted as a friendly and social hostel, the staff offers yoga and organizes other activities for guests to partake in. 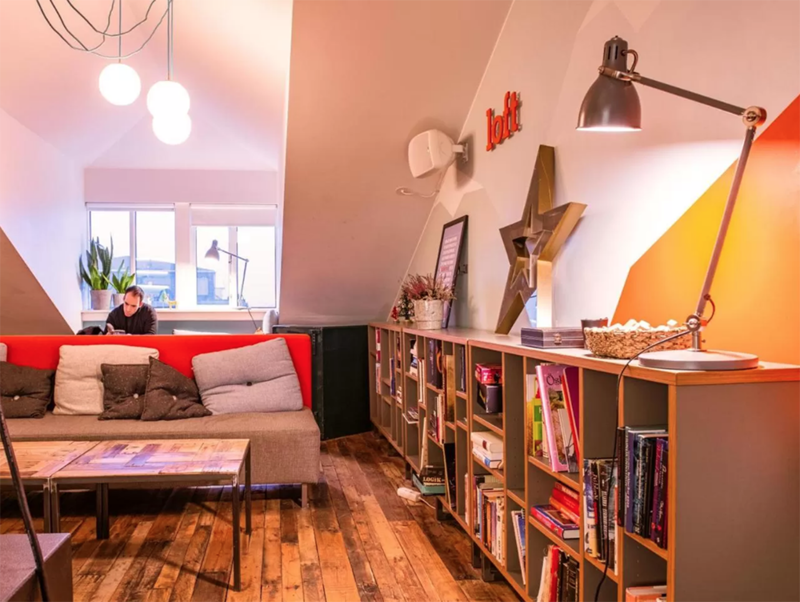 Cozy, clean and social — you cannot go wrong with this Reykjavik hostel! Book your room at Circle Hostel now! A luxury hotel with an upscale hostel on the 3rd and 4th floor means you get the best of both worlds. Hlemmur Square has dormitory accommodation with seating areas in the room and large lockers for every guest. With all day sunlight in the summer, there are blackout curtains to ensure a good night’s rest for all your Iceland adventures. Daily happy hour, a bar and breakfast menu, everything you need is right inside the hostel (but don’t forget to go out and explore Reykjavik!). The hostel offers 24-hour front desk and security so you’re able to hire a bike, book a tour or airport transfer directly from the front desk at all times. Hlemmur Square sits at a stellar location as well with restaurants and supermarkets at a walking distance and a public tourist bus stop right outside. Book your room at Hlemmur Square now! Kex translates to “biscuit” in Icelandic, which makes sense once you realize that the Kex Hostel in Reykjavik is actually inside an old biscuit factory. 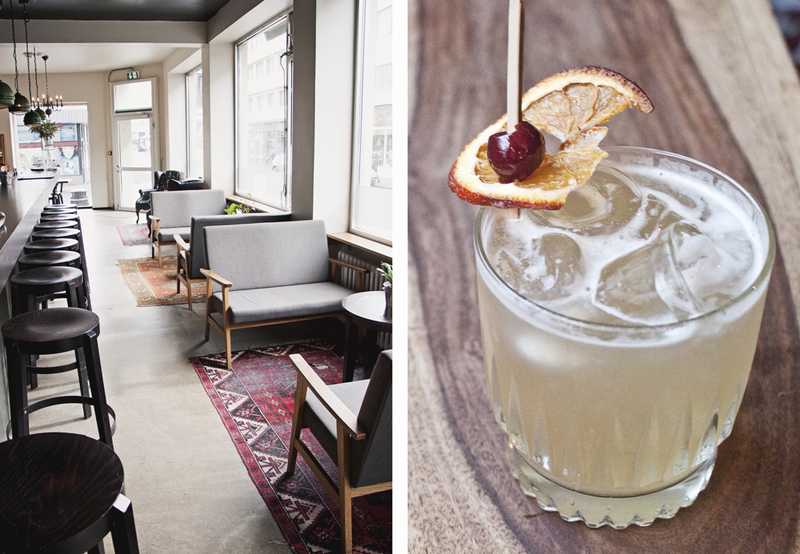 A self-proclaimed social hostel, Kex is located in the heart of Reykjavik. The interior design of the hostel showcases a modern and industrial feel yet doesn’t skimp out with elements of coziness as well. 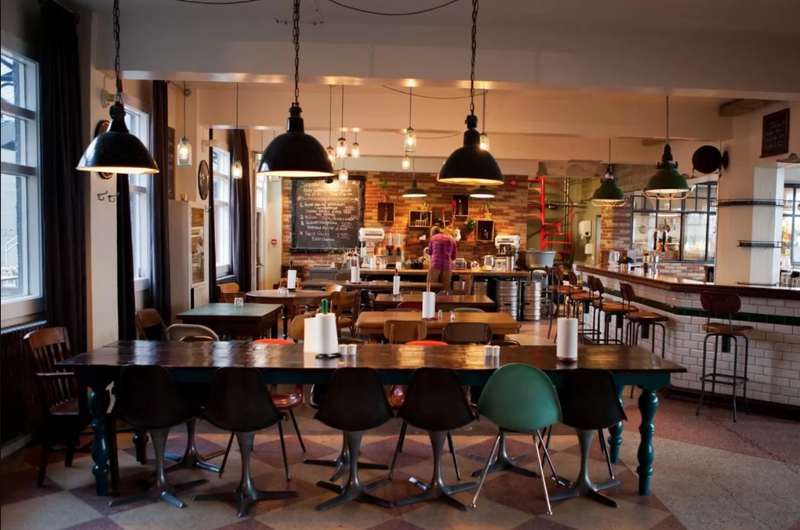 Kex Hostel offers a gastropub, Sæmundur, inside the hostel for all of your dining needs. Other services include a barber, a gym, a kitchen, a heated outdoor patio and bike rental to name a few. Seriously, this hostel has it all! With a spectacular view of the sea and female only dorms, mixed dorms and private rooms to choose from, you’ll definitely find whatever you’re looking for. Book your room at Kex Hostel now! 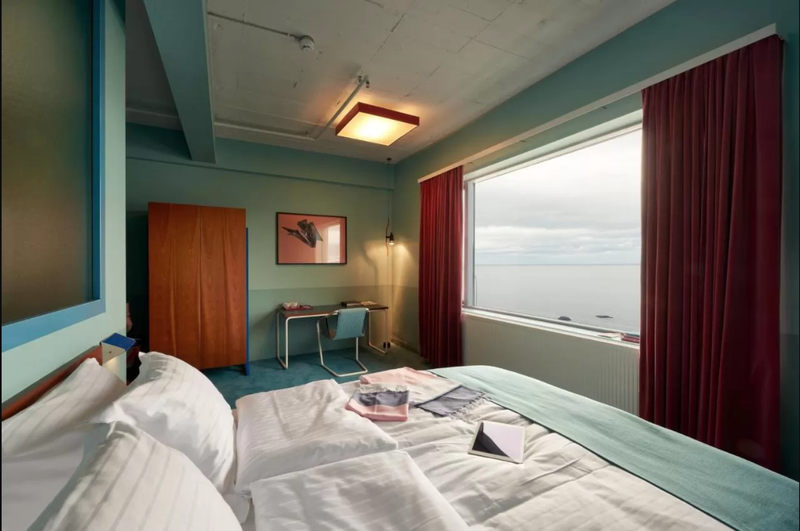 Staying inside a budget hostel doesn’t mean you have to miss out on comfort and amenities, which is exactly what the Reykjavik Hostel Village believes in. It’s a family run hostel in downtown Reykjavik with free WiFi, luggage storage and continental breakfast. According to reviews, Hostel Village hosts clean rooms with plenty of natural light, friendly staff and a great location in Reykjavik. Hostel Village offers female only, mix dorm and private rooms as well as an apartment-style lof for those looking for something long-term. Book your room at Reykjavik Hostel Village now! 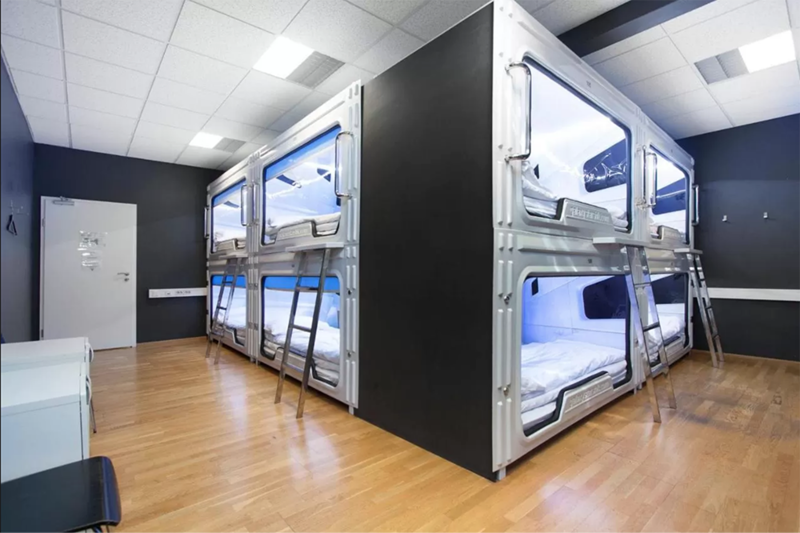 The name of this Reykjavik hostel is as eye-catching as the pods themselves! Taking a page out of the Japanese pod hostel’s book — Galaxy Pod hosts a luxurious accommodation option inclusive of a movie-room, self-serving kitchen, free WiFi and a Scandinavian styled bar. The pods come well-equipped with fans, outlets, a Smart TV, a mirror and fresh linens. If that’s still not enough for you, there are VR games you can rent for hours of entertainment. Book your room at Galaxy Pod now! At Loft Hostel in Reykjavik, you have everything you want to see in the city right outside your door. The hostel offers free WiFi, a book exchange and arguably the best view of the city from their cafe/bar on the 4th floor. Plus, it’s a green hostel so you’re treating the environment nicely while staying here. All dorm rooms and private rooms are ensuite, with linen provided. Loft also offers its guests tours throughout the city including car rental directly from the front desk. Book your room at Loft hostel now! Disclaimer: This post includes affiliate links which give me a small cut if you make a purchase. This comes at no extra cost to you and allows me to continue running this blog! This entry was posted in Europe, Iceland on April 15, 2019 by Amélie.